← In the News: Hasidim, Mormons, Borges, and more! In 2009 Larry Bybee had a massive heart attack. The 54 year-old thumping organ in his chest was finished. After waiting for two months, Bybee received the new heart he needed. Three year old Alec was so jaundiced his skin glowed yellow. After being on the transplant waiting list for seven months he received a new liver in 2007. Adam Bhaiji, a 17 year old who had liver disease his entire life, received a new liver in 2003 after undergoing dialysis for three years. These and hundreds of similar stories from the past 20 years crowd organ transplant websites from around the world. The purpose of the stories is to promote organ donation by appealing to our sense of altruism, our desire to help fellow human beings by giving the “ultimate gift.” Yet, despite awareness campaigns, driver’s license sign-ups, and decades of such heart-warming—and rending—stories, there continues to be a shortage of available organs. In fact, the dearth of donors is falling behind increasing demand. Our organ donation system is broken and no amount of appeal for the “deepest form of generosity” has generated a matching supply. Thousands of lives that could be saved end each year. While the medical community agrees that the methods we currently use to procure healthy organs for transplant are not working, there is much disagreement over how to correct the disparity between how many people are in need and how few are willing to donate. Two recent cases have thrust the issue back into the national spotlight and illustrate some of the issues that make adequate organ donation so challenging. Last month two year old Thaiya Spruill-Smith was reported brain dead after being rushed to a hospital in Brooklyn. The child’s mother, Teoka Spruill, wanted to donate her daughter’s organs but Thaiya’s father, Terrell Smith, did not. “She was born with that, she’s going to be buried with that, her body, her eyes — it’s what makes her her,” Smith told the New York Times on November 16th. During attempts to resolve their disagreement, the hospital kept Thaiya’s body on machines until a court judge could decide how to proceed, but organ donation requires unanimous consensus. Thaiya’s body was removed from machines two days after she entered the hospital, when it was clear that the parents could not agree. These two widely reported cases, one in Brooklyn and one in Texas, show the challenge of reconciling parent, patient and hospital wishes. Though laws vary by state, organ “harvesting”—a term that is now associated with human trafficking, Frankenstein-like doctors, and third-world horrors—has been used as a bludgeon by opponents of the brain death definition. Although the end of brain function is the legal definition of death in all 50 states, some oppose this definition and charge that hospitals and doctors are simply greedy for organs, pushing for dead patients’ removal from ventilators or feeding tubes. Currently, the decision to remove a patient with some brain activity from “life support” is up to family members—who are often charged to speak on behalf of their loved ones, in the midst of grief, whose decision regarding such a situation they may not actually know. The default is often to keep these individuals on machines, even if they have little or no chance of recovery, even if organs could save the lives of others. In September this year Pope Frances called for more Catholics to donate organs even as he warned against legalization of the organ market. “We need to explain that donating organs is a gesture of life. Each of us, for example, has two kidneys, and giving one of them to a relative or a person we love is a beautiful gesture. Entering into the spiral of trade and sales is a crime,” he said, according to Rome’s mayor, Ignazio Marino. The pope’s statement reiterate’s Pope John Paul II’s statement in August of 2000 in which the pope encourages organ transplants, cautions the medical field to abide by the principle of informed consent, and states that death is determined by the end of brain function. A 2010 survey by Donate Life America sought to plumb public sentiment regarding organ donation. They found that, while no major religion prevents organ donation, 8 percent of those who were against it cited their faith as the reason. A full 61 percent wrongly believed that it was possible for a brain dead person to recover, a misperception that rose from 22 percent in 2004 to 28 percent in 2010. Still, some objections to organ donation are explicitly religious—Christian Scientist, Shinto, Jehovah’s Witnesses (unless the organ is drained of blood)—although not all adherents follow such teaching. There is no evidence to show that religious adherents—those one would assume to be more greatly motivated by altruism and compassion—donate organs more readily than non-adherents. A 2013 study did show that Muslims, who are less likely to be organ donors, may refrain because of their faith. “Survey respondents who had higher levels of negative religious coping— the belief that negative events like sickness are punishment from God —- were much less likely to agree with organ donation after death,” wrote ScienceLife, a publication of the University of Chicago Medicine & Biological Sciences. But the study was small, less than 100 Muslims, and I suspect that it may isolate faith and not account for other factors, such as experience with the medical community, age or other cultural reasons. Other opposition to organ donation comes from minority groups in the US who have historical experience with discrimination by the medical community: African Americans and the mentally and physically disabled. The Tuskegee Experiment, which observed but did not treat syphilis sufferers, was conducted on poor black sharecroppers for forty years until its end in 1972. Mass sterilizations of the mentally ill, criminals and others took place in 27 states before the 1960s. The Donate for America study corroborates this finding, showing that fear of donation may come from distrust of doctor’s objectives. Perhaps the greatest challenge to meeting the needs of those waiting for organs are the majority of the population who haven’t considered donation or taken action to become organ donors. A new effort by prominent bioethicists, doctors, and religious leaders aims to address the specific shortage of donor kidneys in the US. Peter Singer, Frances Kissling, Steven Pinker, Ruth Macklin and Robert Vetch and others published an open letter to the President and the Secretary of Health and Human Services that addresses the crisis of the current kidney shortage. It was signed by more than 300 individuals (including myself) who urge the administration to take immediate action. While the writers don’t call for specific changes to the current system, they highlight the current challenges of obtaining enough organs for those in need and call for programs and studies that explore donation methods. It is time to acknowledge that the current system of organ procurement is not working. A variety of ideas already exist, requiring people to opt-out of donation rather than our current method of opting in, for instance. 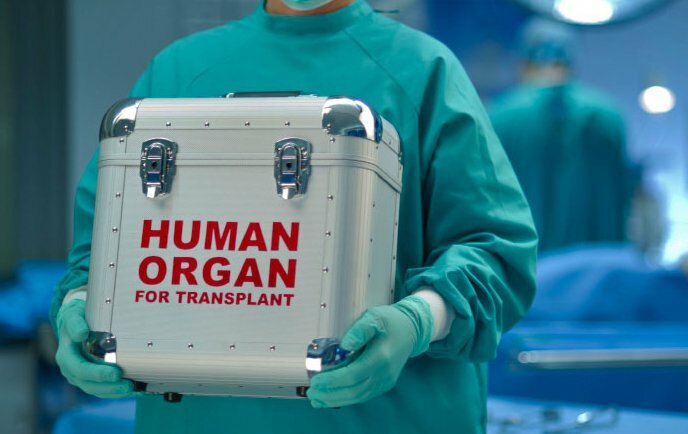 The opt-out system in Austria has proven to better meet demand for organs. A year ago, after attending a conference at Princeton University, I asked here why we are resistant to payment for donated kidneys (only one kidney is necessary for survival). Globally, resistance stems from a concern that the most poor will be preyed upon, will be forced by financial circumstances to jeopardize their health. And yet medical ethics are predicated on patients’ autonomy to make their own healthcare decisions. There are many other options that could be explored—and that could potentially have immediate impact on the number of lives saved. Meanwhile, as we press for new policy initiatives to be engaged, eighteen patients die every day while waiting. Ann Neumann is a contributing editor at The Revealer and Guernica magazine. Neumann‘s book, A GOOD DEATH, will be published by Beacon Press in 2015.